Between 2010 and 2016, approximately how many new cases of HIV infections were diagnosed among servicemembers per year? C. 350. Between 2010 and 2016, an average of 350 new HIV infections were diagnosed among servicemembers per year, which represents nearly one new case each day. The Veterans Health Administration and the Department of Defense are working to advance the goals of the National HIV/AIDS Strategy and mitigate the effects of HIV on troop readiness by ensuring regular screening, retention in HIV care, and improved access to prevention services, including pre-exposure prophylaxis. (Okulicz JF, et al. MSMR. 2017;24:2-7). Overview: This accredited CME/CE/CPE publication discusses the Veterans Health Administration and Department of Defense HIV-prevention goals outlined in the 2010 and 2015 National HIV/AIDS Strategy for the United States, reviews the epidemiology of HIV acquisition in various federal healthcare settings, explores methods for engaging patients in nonjudgmental conversations about their sexual health, and presents strategies for identifying candidates for pre-exposure prophylaxis for HIV prevention. This activity is intended for physicians, nurses, nurse practitioners, physician assistants, pharmacists, and other healthcare professionals in the federal healthcare system. Although substantial progress has been made over the last 3 decades in the prevention and treatment of HIV, nearly 40,000 persons were newly diagnosed with HIV in the United States in 2016. In the same year, more than 28,000 veterans living with HIV received care at Veterans Health Administration (VHA) medical facilities, making the VHA the largest single provider of HIV care in the country. Both the VHA and the Department of Defense (DoD) support high clinical standards for preventing HIV transmission, especially in high-risk groups, and improving access to HIV care for veterans and active duty servicemembers. 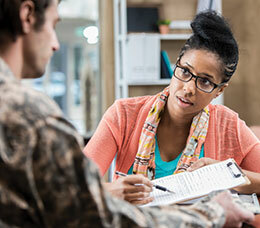 Clinicians in the VHA and Military Health System within the DoD may find it challenging to identify patients at high risk of HIV and implement strategies to help prevent HIV infection. It is imperative to provide these medical professionals with tools to support their efforts to reduce HIV transmission among servicemembers and veterans, including methods for engaging patients in nonjudgmental conversations about their sexual health, identifying patients who are most likely to benefit from pre-exposure prophylaxis (PrEP), initiating PrEP, and providing follow-up care. Med-IQ designates this enduring material for a maximum of 1.0 AMA PRA Category 1 Credit™. Physicians should claim only the credit commensurate with the extent of their participation in the activity. This nursing activity has been approved for up to 1.0 contact hour. Med-IQ is accredited by the Accreditation Council for Pharmacy Education as a provider of continuing pharmacy education. 1.0 contact hour (0.1 CEUs) of credit for pharmacists. ACPE # 0476-0000-18-004-H01-P. This knowledge-based activity is designed for all pharmacists. 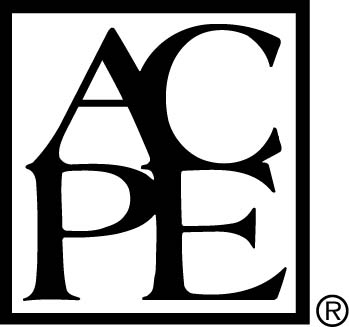 This CME/CE/CPE activity consists of a 1.0-credit publication. To receive credit, complete the pre-survey, read the introductory CME/CE/CPE material, read the publication, and complete the post-survey, evaluation, attestation, and post-test, answering at least 70% of the post-test questions correctly. Puja Van Epps, MD, has indicated no real or apparent conflicts. For technical support, go to http://www.med-iq.com/index.cfm?fuseaction=content.support.